We all know that Nagababu’s son, Varun Tej is making his Tollywood debut in the direction of Srikanth Addala. This film has already created a huge buzz and the trailers have impressed one and all. Latest news is that the film has been locked to 142 minutes run time. 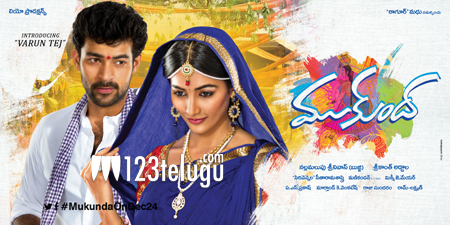 Slated to hit the screens tomorrow, Mukunda has Varun Tej paired opposite Pooja Hegde in this action entertainer, which is produced by Tagore Madhu and Nallamalupu Bujji.